I’m low, but i’m alive, you don’t worry, i’m okay! I’m breathing, I wil survive, dear don’t worry i’m okay! I’m strong, I won’t cry. On my silence, I rely. Im smiling, I’m okay! 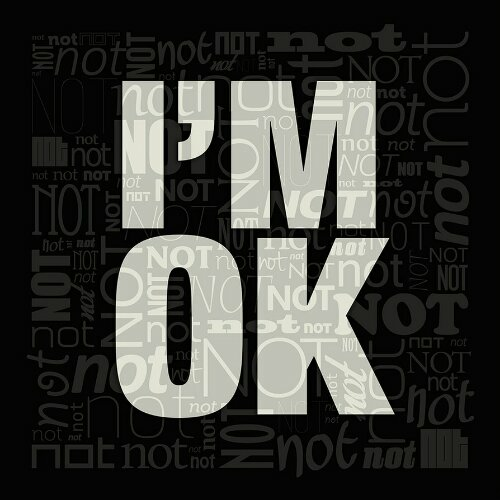 I’m just fighting, these feelings won’t die, I’m not showing, I’m too shy, my heart is beating I’m okay! im so cold, I don’t know why, oh! cruel night, this lonely heart, me & I, I’m not crying I’m okay! Let me go or hold me tight, be with me or just say goodbye. I’m not changing I’m okay! My faith won’t break, It’s so wondrous high, to reach the Sea and scale the Sky, I’m not just dreaming, I’m okay!